Our High School Ministry is all about relationships. We want our students to experience a deep and personal relationship with Jesus Christ and build significant friendships with their peers and our incredible volunteer team. What we do on Sunday nights? We gather regularly on Sunday nights to sing together, hear from God’s word, and spend time in smaller groups to connect God’s word to our lives. Every fun trip, every activity, and every service opportunity we plan is designed to help our students grow in their love for Jesus and each other. We are convinced that our students will only experience true joy when their hope is in Christ. High School | Summer Camp Registration Wilderness Ridge (PVM) 1259 Swann Beatty Rd. Cost will be $330.00 More details to come! 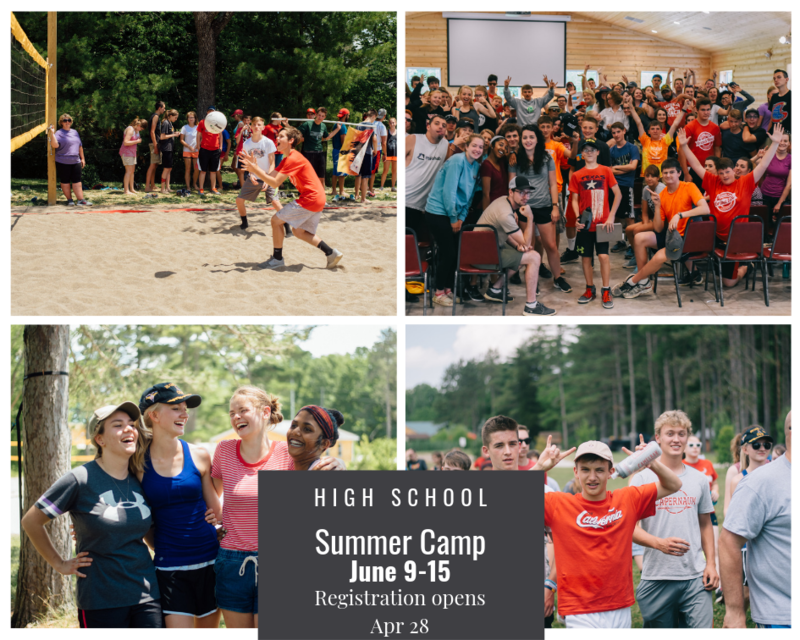 High School | Summer Camp Wilderness Ridge (PVM) 1259 Swann Beatty Rd. Helping students to apply God’s Word to every area of life. Pointing students to Jesus that they might know and love Him. Creating space for students to build healthy relationships with each other as well as adult volunteers. Having fun together to the glory of God. Encouraging and Equipping parents as they raise their kids.